Spectra was originally instigated by artist, Mary Rosengren and CSIRO host partner, Cris Kennedy, following their 2011 Synapse art/ science residency. Supported by the Australian Network for Art & Technology (ANAT), Spectra 2012 was held at the CSIRO Discovery Centre in Canberra, and brought together some of Australia’s leading artists and scientists. 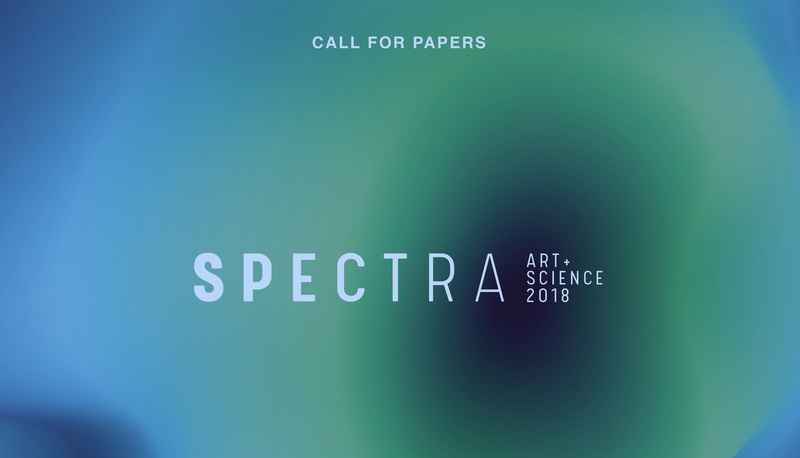 Spectra is now re-visioned as Australia’s pre-eminent art/science gathering showcasing the best research and creative work being produced through interdisciplinary collaborations between artists and scientists across Australia and New Zealand. Spectra 2018 (https://spectra.org.au) is proudly presented by ANAT, with partners the University of South Australia and Experimenta Media Arts, in association with colleagues drawn from the arts and science sectors, and with generous additional support provided by Arts South Australia. Collaboration between the arts and sciences has been seen to contribute to the creation of knowledge, ideas and processes beneficial across disciplines. Artists and scientists approach creativity, exploration and research in different ways and from different perspectives; when working together they open up new ways of seeing, experiencing and interpreting the world around us. Spectra explores this increasing convergence of art and science and considers how each area impacts the other and how, together, they shed light on who we are and where we’re heading. At the very heart of Spectra is our desire to showcase and celebrate the vanguard of Australian artists who continue to lead the world in experimental and interdisciplinary arts practice. All abstract submissions are read first by the Spectra symposium Chair. Submissions will be sent to the Academic Committee for peer review, with each submission to be reviewed by no less than two reviewers as determined by the Chair. Any recommendations will be forwarded to the author(s) for attention before the paper is finally accepted for the symposium inclusion. Please Note: The length of presentation or summary for each paper will be 20 minutes, followed by 10 minutes of questions/ discussions. → Please submit abstracts of 300 words, accompanied by up to five key words. → Please provide brief biographical details of 100 words on another sheet. → On the Cover Sheet please include paper title, name of author, affiliation and full contact details, including email. Please submit all abstracts and biographical details via the Spectra Easychair portal.